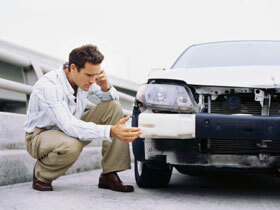 The key to avoiding a chronic problem after a vehicular accident is an early exam. Did you know that you can experience injury from a car accident, even a low impact one, without exhibiting a single initial symptom? Whenever you’re assaulted by a moving object, particularly a massively heavy one like a car or truck, there’s a good chance that some bodily damage has occurred. I’ve undergone advanced training in the evaluation and treatment of patients involved in auto accidents, and my experience leads me to give you this advice: get your spine checked as soon as possible after an accident, even if you think the impact was minor. Symptoms are not predictable and will often seem to fade over time. If, however, you experienced them within a week of the collision, you can be sure that you sustained, at a minimum, soft tissue damage. The key to avoiding the creation of a chronic problem after vehicular injury is simple: early detection and speedy intervention. Many people can trace the origin of a specific symptom to a car crash that they had experienced years before — don’t let this be you! An immediate spinal checkup in these cases would’ve made a world of difference. We accept all major medical insurance policies related to your injuries and have extensive experience working with attorneys in cases of third party liability. We have the training and know-how to make a significant difference in the outcome of your car accident as it pertains to your future health and well-being. Let us know if we can help!